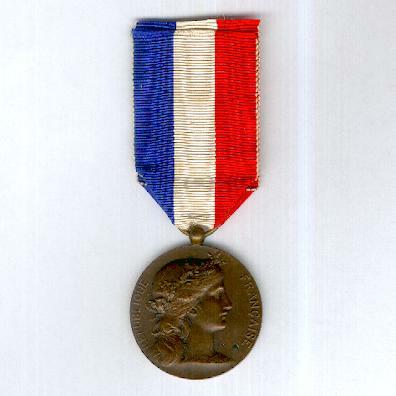 Large circular bronze medal with laterally-pierced ball suspension; the face with an oak-crowned female head facing right, representative of the French Republic, circumscribed ‘REPUBLIQUE FRANÇAISE’, signed ‘DANIEL DUPUIS’ (for the renowned French medallist Jean-Baptiste Daniel-Dupuis, 1849-1899); the reverse inscribed ‘R.F. 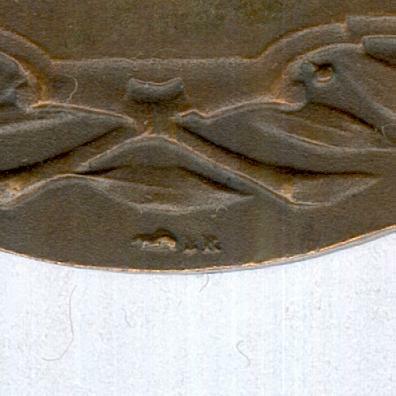 / ELECTIONS / MUNICIPALES / 1912’, a plaque below, palm and laurel branches to left and right respectively, signed ‘CH. 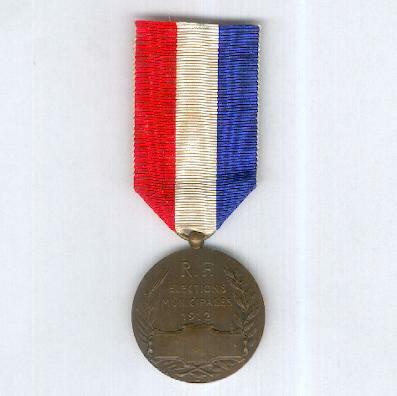 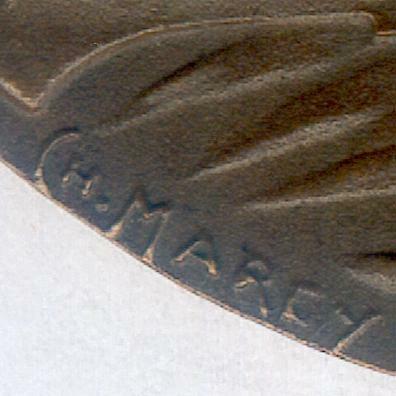 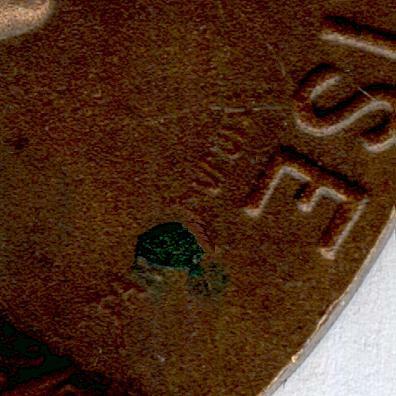 MARCY’, Paris Mint cornucopia bronze hallmarks at the base; diameter 40.81mm (1.6 inches); a small age oxidisation mark lower right of the face; on replaced correct ribbon in the French national colours. 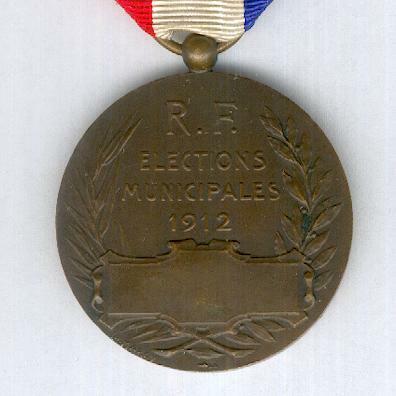 The municipal elections were held on 5 and 12 May 1912.